For us, keeping chickens started as a hobby. We started off with 6 hens as we thought this would get more than enough eggs for the two of us! We started selling our eggs to friends and family to cover the cost of the hen's food. Our eggs were in such high demand that we increased our brood to 8 lovely hens. We then started hatching our own chicks! 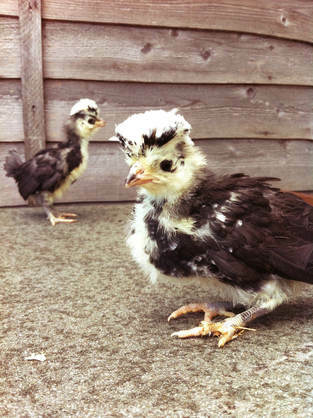 We hatch a limited amount of chicks (both pure breeds and hybrids) each season, and also hatch to order on request. We are happy to advise on all aspects of chicken keeping so please feel free to contact us. We hope you find keeping chickens as fun and satisfying as we do!